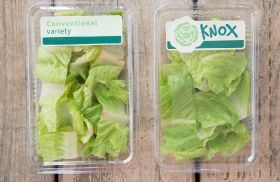 Vegetable breeding company Rijk Zwaan is focusing on the theme of ‘Innovating for sustainability’ at Fruit Logistica 2019 and, in line with this goal, is introducing a large number of new Knox lettuce varieties at the event. 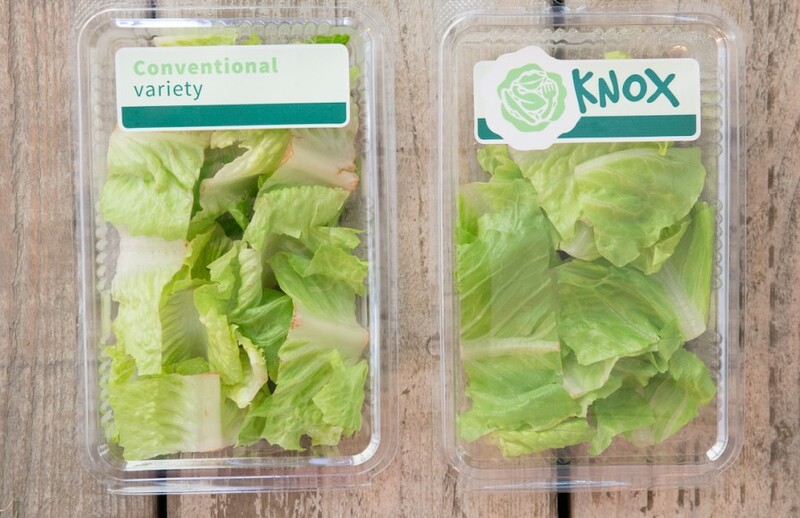 Knox varieties enable vegetable processors, food service companies and retailers to offer their customers salads with a longer shelf life all year round. Premium courgettes launched under the Longvita label also have a longer shelf life, thus helping to reduce food waste, the group noted. Extending shelf life offers many advantages throughout the chain: it gives producers and retailers more flexibility and less waste, while consumers benefit from vegetables that stay fresh for longer – a key objective in Rijk Zwaan’s breeding programmes. The Knox trait is a prime example of the company’s efforts in support of more sustainable production and consumption. The trait delays pinking after cutting, which extends the shelf life of fresh-cut lettuce by at least two days. Rijk Zwaan won the Fruit Logistica Innovation Award for this achievement in 2017, and the breeding company has been continuously developing Knox ever since, according to Bauke van Lenteren, convenience specialist at the company. The Knox trait is also available in a wide choice of cos lettuce (also known as Romaine lettuce), which is one of the main ingredients in a Caesar salad. The same holds true for Longvita, Rijk Zwaan’s label for premium courgettes, according to Mathilde Tournebize, marketing specialist at Rijk Zwaan. “We’re very pleased to be able to present our extremely promising Longvita varieties, including Calagreen RZ F1," said Tournebize. "Consumer research has shown that people prefer not to buy courgettes if the quality is poor. The Longvita label sets a new standard in terms of shelf life.